The healing and medicinal properties of garlic have been known worldwide for over 3000 years. Garlic is a readily available herb that as well as being a delicious and versatile ingredient in cooking has many scientifically-proven medicinal properties. Research has shown that garlic contains over 400 different components that are beneficial to our health. 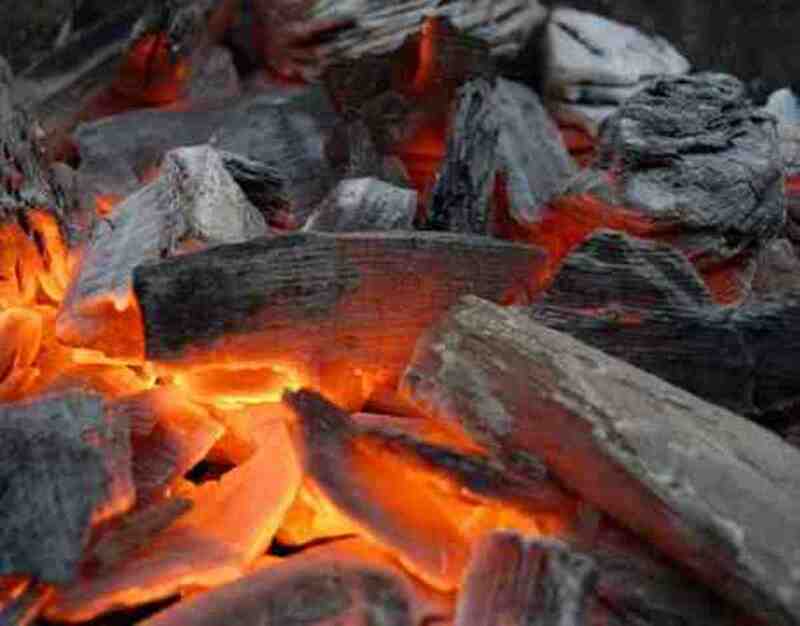 Powerful sulphur components in garlic can kill bacteria, viruses, fungi, parasites and worms as well as benefiting the circulation, digestion, the immune system and lowering blood pressure. Garlic is a very safe herb to use and is so versatile it is easy to incorporate into your daily diet. The beneficial properties are greatest when it is eaten raw but it can also be cooked as part of a huge range of dishes or taken in tablet form. Garlic contains a substance called allicin, which has anti-bacterial properties that are equivalent to weak penicillin. Garlic also has anti-viral properties and has been used to treat a variety of medical issues including ulcers, flu, worms, colds, kidney problems, earache and athlete’s foot. The first recorded use of garlic as a medicine was by the Sumerians of Mesopotamia. 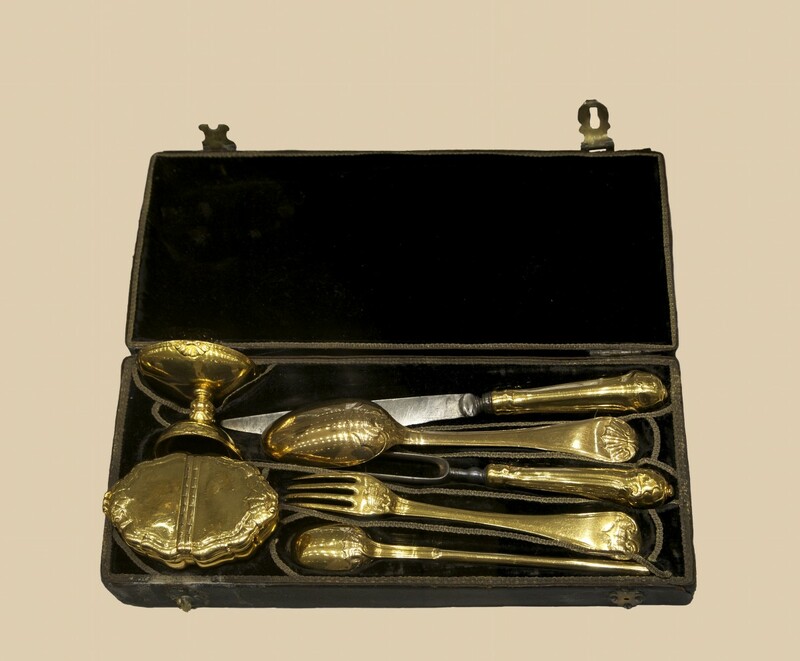 Garlic was an important medicine in Egypt and has been found in many of the Pharaoh’s tombs. Pyramid builders believed that garlic gave them strength and the Egyptian ‘Ebers Codex’ revealed twenty two different remedies that were used containing garlic. In ancient Greece garlic was used to heal wounds that were sustained in battle and was believed to give athletes strength. 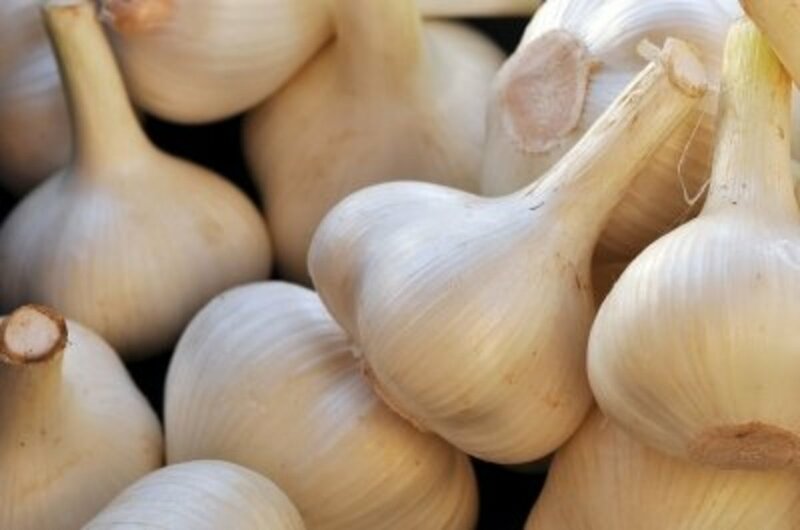 Hippocrates recommended garlic for pneumonia, infections and digestive disorders. 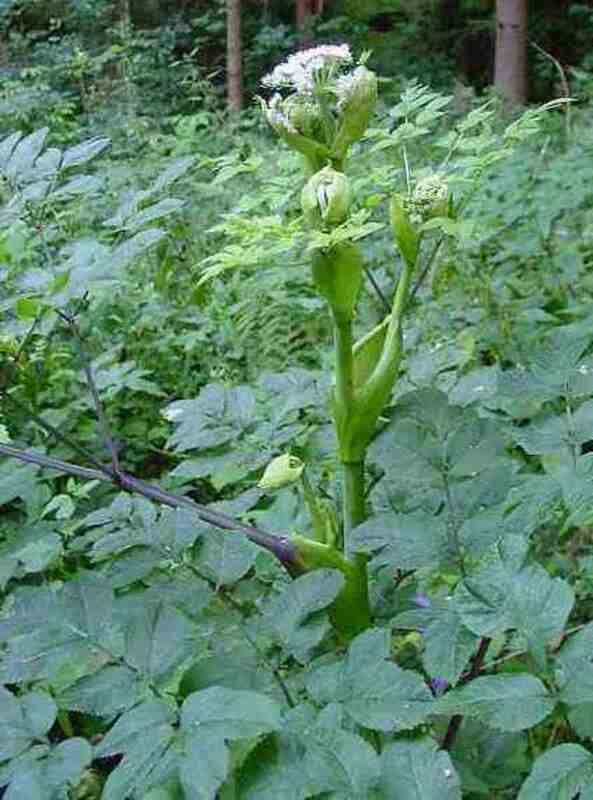 Dioscorides used garlic in treating dog and snake bites, bronchitis, leprosy and coughs among other conditions. More recently, garlic was used during World War I to treat wounds and cure dysentery when adequate antibiotics were not available. Eating garlic raw is the best way to take advantage of its many health benefits. Cloves can be eaten on their own, swallowed or chopped and added to salads and other uncooked dishes. A disadvantage of eating garlic this way is that it has a strong smell that may remain on your hands and breath afterwards and which many people find unpleasant. Good alternatives are to prepare or buy a garlic tincture, syrup or tea. 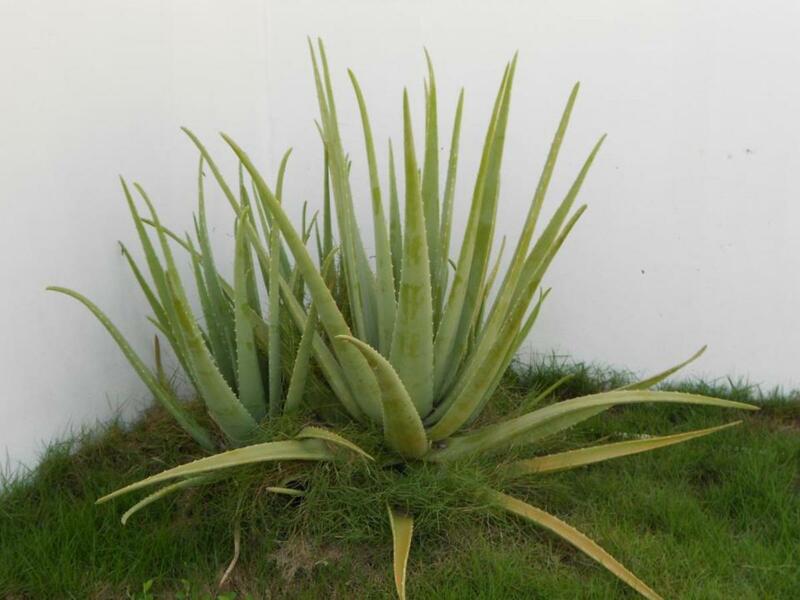 Taking aloe along with the garlic can also help to remove the odour. Garlic juice – raw garlic can be processed in a juicer and then blended with water. Cold extract – To make an extract suitable for drinking, add several peeled cloves of garlic to ½ a cup of water and leave to stand overnight. This can then be sweetened with honey if desired. Tincture – Peel ½ lb of garlic cloves. Place the cloves in an airtight container with 4 cups of brandy, cover and leave to soak. Shake the container several times a day. After fourteen days strain the liquid and store in an airtight bottle. Take 5 to 20 drops as needed. This tincture should last for about a year stored in a cool dark place. Garlic syrup – Peel and crush twelve cloves of garlic and place these in a small pan. Add ¾ cup honey and cook over a low heat until soft. Stir in 3 tbsp. brandy and 1 tbsp. lemon juice. Leave the mixture to stand until cold and then strain into a jar or glass bottle with a tight lid. Coughs, Colds and Sore Throats. Garlic can be eaten to kill viruses and bacteria that cause colds, coughs and sore throats. 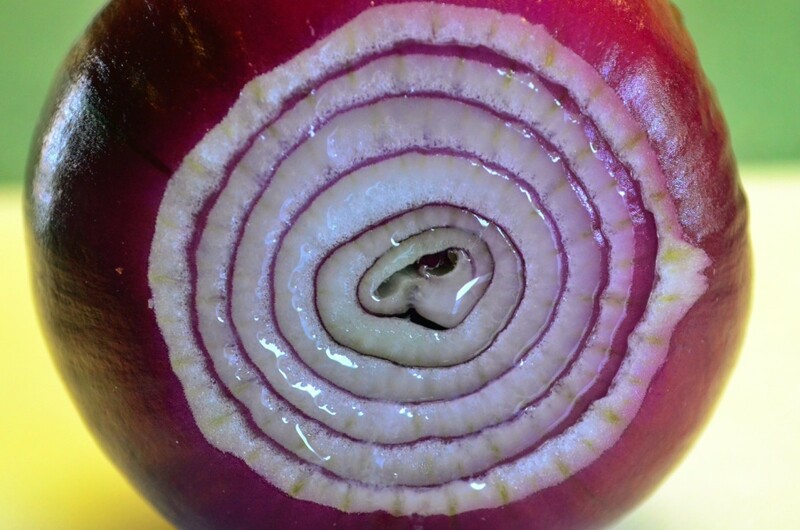 The most direct and quickest way to do so is too eat a small piece of raw garlic. Chew the garlic well and swallow it slowly. Crushed raw garlic can also be mixed with a spoon of honey (which also has healing properties and is a good remedy for sore throats) and swallowed, eaten on some bread with olive oil or added to salads. Garlic can be added to juices and smoothies which also have the added benefit of giving your body a good dose of vitamins and minerals, especially if you do not feel like eating much. Garlic and carrot makes a nice juice that does not have to strong a garlic taste or try carrot, apple, ginger and garlic. Garlic in the Treatment of HIV/AIDS. 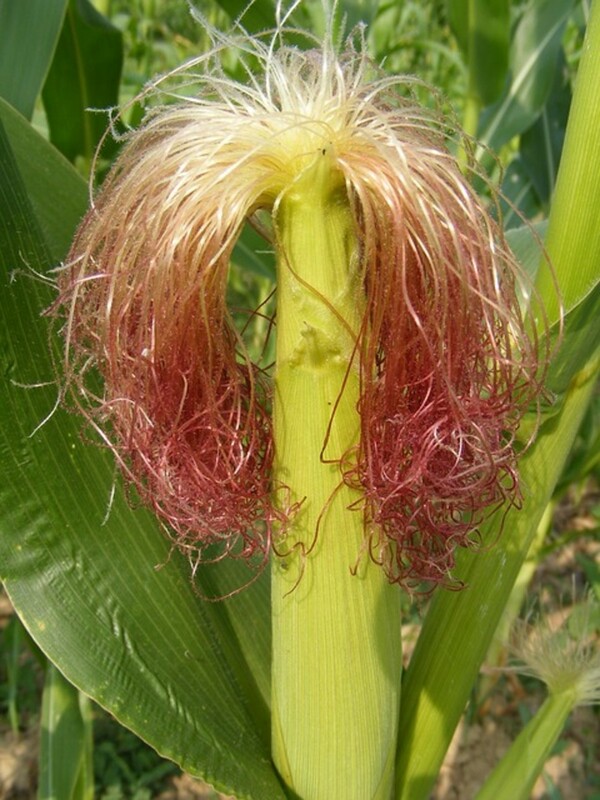 Several studies have found that garlic is effective against common infections in AIDS including herpes, Cryptococcus, cryptosporidia and pneumocystis and may also be able to obstruct the spread of the HIV virus itself. Garlic enhances each of the cell types of the immune system. Diallyl trisulfide, a component of garlic, activates the cytotoxic T-cells which attach themselves to microbes and poison them and the phagocytes that are present in garlic swallow invading germs. Garlic also contains lymphocytes which produce antibodies to kill microbes within the body. Although HIV and AIDS are incurable by boosting the patient’s immune system and ability to fight of disease and infections their quality and length of life can be improved. 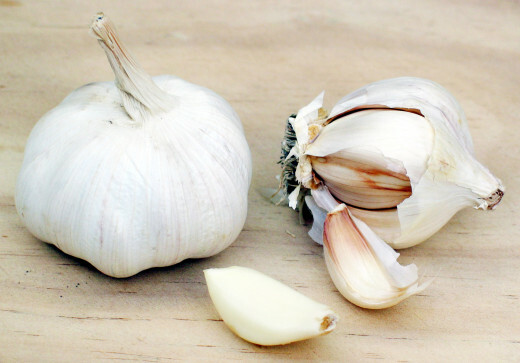 As well as actually improving the immune system rather than just curing the present infection or illness garlic also has another advantage over prescribed antibiotics in that it does not harm the intestinal flora of the digestive tract. Garlic as a Cancer Treatment. Sulphur rich foods such as broccoli, onions, garlic and cabbage have been found to help protect against cancer. 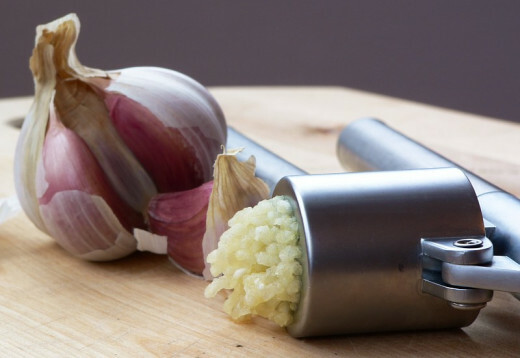 Laboratory tests using mice showed that injecting them with garlic extracts stabilized and shrunk tumours by up to 50%. Positive results were also found when mice were fed garlic as part of their daily diet. Garlic stimulates the immune systems response to disease and can help to stop tumorous growths. Sulphur helps the liver in its detoxification of the body and improves its ability to break down and remove toxic and harmful chemicals from the body. Efficient detoxification lowers the risk of cells becoming cancerous. Garlic works as a natural antibiotic and unlike prescribed antibiotics bacteria does not appear to become resistant to garlic. Unlike conventional antibiotics garlic only kills the unwanted harmful bacterial and leaves the beneficial intestinal floral intact. 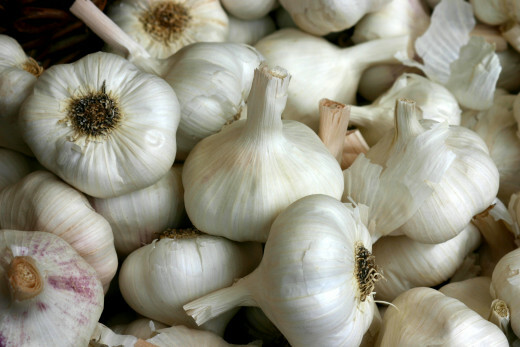 To be most effective as an antibiotic, garlic needs to be eaten raw. Side Effects of Eating too Much Garlic. Eating large amounts of garlic can cause the aroma to remain on your breath and also your skin. Research by the University of Maryland Medical Center found that large amounts of garlic may also cause digestive discomfort and flatulence as well as headaches, migraines, allergic reactions and in rare cases, muscular aches. As garlic has some blood thinning properties, which may be beneficial in decreasing the risk of heart problems and strokes it can also cause problems in the case of accidents or interactions with anticoagulant medicines such as warfarin. Some people suggest excluding garlic from your diet for a week or more before any surgery so it does not delay any necessary clotting. Thank you for your kind comments, pleased you liked it. Thanks for your reply. Yes I am familiar with the cancer, heart disease, and cholesterol, but have never heard of garlic being used in HIV treatment. I guess I will start googling, Thanks! I read about on several websites and in an complementary therapies magazine and then used Google Shcolar to read up some more information. There is a lot of information on http://www.ncbi.nlm.nih.gov/pubmed, which also has links to information on using garlic to treat cancer, heart disease and high cholesterol. Nice hub. I did not know the part about garlic in the treatment of HIV. Do you have any credible sources for this information?